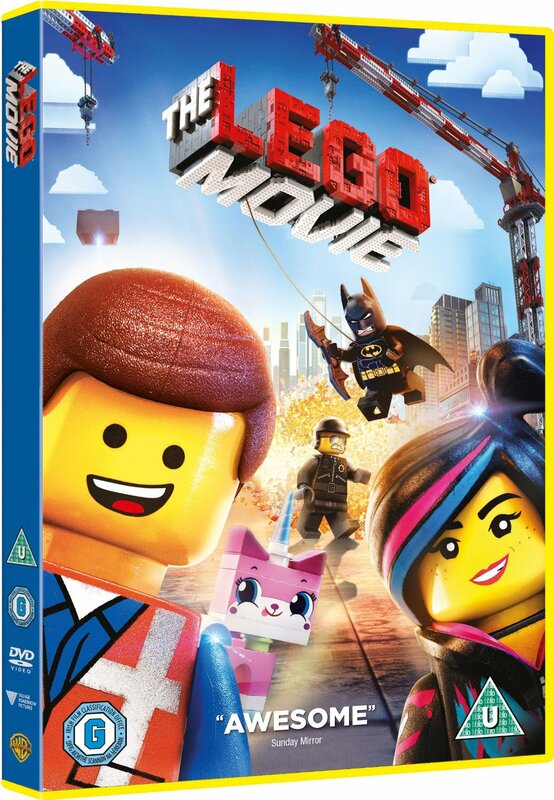 I had two very excited children when they saw the LEGO movie DVD arrive through the door meaning they could watch it again and again to their hearts content. Mister B is rather fond of Emmet and they both love singing “Everything is Awesome”. The LEGO movie is a good old power struggle of good and bad where the good side are looking for the special one, to fulfil the prophecy to overthrow the evil empire. The empire is run by President Business and his right hand man Bad Cop, where everyone obeys the rules and there are rules for everything! Those that break the rules get severely dealt with. Emmet becomes the unwitting special one protected by the goodies Wylde Style, Vitruvius and the other Master builders including batman, superman and 80’s space man! The film is fast paced and action packed. There is something in the film to entertain the youngest of children to the older parents. The movie takes you through the journey where Emmet is introduced in his normal life, then plucked from that as the special one and the expectations of Wylde Style who has discovered him and determined for him to be that person. The film goes through twists and turns where there is Lego destruction and super fast Lego building throughout. The goodies protect Emmet, who’s a bit of a good hearted bumbling buffoon being consistently chased down by Bad Cop. The goodies then get together to challenge President Business, but is all lost? It certainly looks that way. The twist at the end leaving you thinking, what!!!!! It may go over the heads of the younger audience but makes so much sense when you think back – and takes you back to your own childhood. I have watched this awesome film several times and there is always something I see that I missed before, there is so much going on, it is a proper roller coaster of a story which is brilliant on so many levels. The kids and parents love it equally and you will end with a reminisce of yesteryear and a warm fuzzy feeling and a big smile on everyone’s face. This entry was posted in Reviews and tagged DVD, emmet, kids, Lego, lego movie by Fiona Martin. Bookmark the permalink. My kids love them too! We had the dvd and watched it millions time now! With the song play in the car constantly. Everything is awesome! Great film.